The Oxford International Centre for Publishing is one of the leading institutes for media education in the world, with a reputation for innovation and excellence in teaching and research. The Centre's programmes are ranked consistently high in the university league tables. The UK’s creative industries are growing at almost twice the rate of the wider economy. Our staff all have considerable experience of the media industries, working in book, magazine and digital publishing. Publishing is a global business and we maintain an extensive network of contacts in the international industry, including our alumni who are working in management positions throughout the world. The Centre offers a range of postgraduate and undergraduate awards in journalism and publishing, and carries out academic research, professional development programmes and consultancy. Our students come from all over the world to enjoy excellent teaching and learning in one of the largest departments in Europe. It is a lively and stimulating environment, and we host a range of special events and welcome many visitors including industry speakers. This exciting new programme gives students up-to-date knowledge and skills in digital journalism and publishing with an emphasis on writing and authorship throughout. Our industry-led masters in publishing programmes provide you with the skills, knowledge and networks to kickstart your career in publishing, or to improve your current position. Our alumni from the Publishing undergraduate and postgraduate programmes are working in a range of jobs in the publishing and creative industries all over the world. Oxford is a global centre of publishing - local companies include Elsevier, Oxford University Press, Pearson Education, Taylor & Francis, and Wiley. 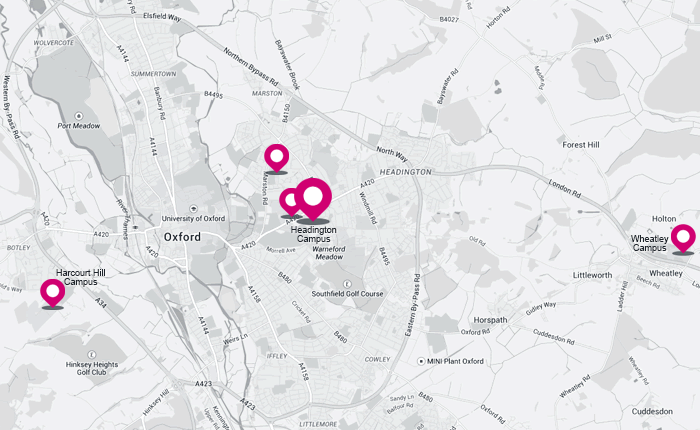 A large number of independent companies are based in Oxford, including the African Books Collective, Berg Publishing, David Fickling, Infinite Ideas, Osprey Publishing, Peter Lang, and the Voltaire Foundation.